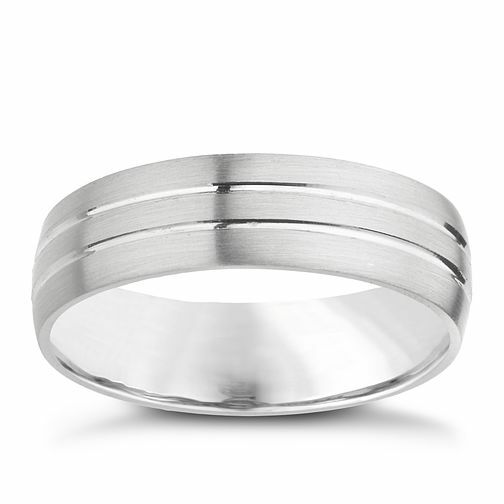 Men's palladium 950 6mm wedding band featuring double groove detailing and a sleek matt finish. Both simple and contemporary. Palladium 950 6mm twin groove matt ring is rated 5.0 out of 5 by 1. Rated 5 out of 5 by Larkie from Lovely ring! This ring is very stylish and classy. It has a brushed effect which means that it is not too shiny and the grooves are a really nice detail.